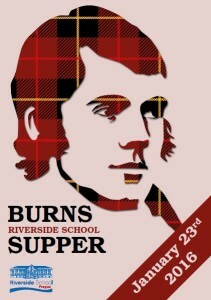 Riverside’s famous ‘13th Annual Burns Supper’ will take place on Saturday 23rd January, 2016 at 6pm at the same wonderful venue as last year – Na Marjánce in Břevnov. The Early Years, Primary, Junior High and Senior High School offices will sell tickets priced 750kc per person from Monday, January 11th. We have raised around 800’000kc for local charities over the past 12 events. 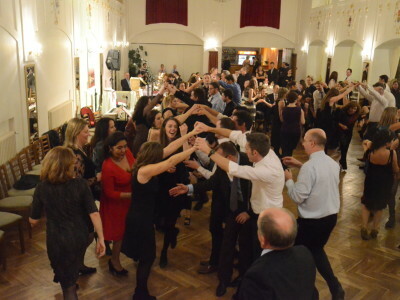 This year, the money raised from our table raffle, grand raffle and auction will be donated to Motol Hospital Children’s Ward, MercyCorps ( an international development organization that helps people around the world survive and thrive after conflict, crisis and natural disaster) and to purchase specialist support for a local child who has specific medical needs. If you would like to book a table with friends please email: burnsnightriverside@gmail.com and we will arrange for you to sit you together. Tables this year will be in groups of 10 and 12. If you know of any company who would like to sponsor this event or donate a raffle prize please contact Graeme Chisholm (psprincipal@riversideschool.cz) or email us at the official Burns Night address.